Αυτό το ψήφισμα δημοσιεύθηκε από τον/την Save G. και μπορεί να μην αντιπροσωπεύει τις απόψεις όλων των μελών του Avaaz. We, friends of Greece from all around the world, protest against your government’s decision to privatize certain beaches on the Greek island of Ios blocking access to these beaches for ordinary Greek citizens and tourists. 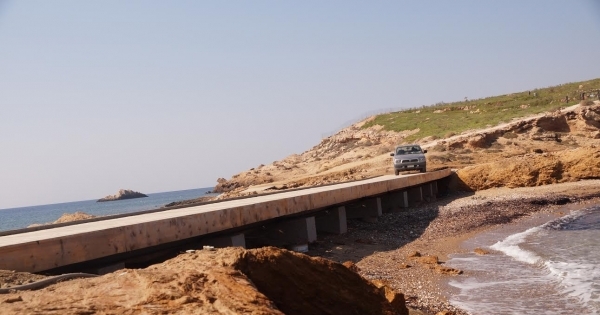 Specifically, we refer to Papa and Koumbara beaches and the Diakofto peninsula where iron gates have now blocked the pathways to the coast line. The above areas have been “donated” by your ministers with joint ministerial decision (ΚΥΑ 14704/2015) and EOT authorities’ permits to the companies Lucas SA and 105 SA, both belonging to the same investor. Granting exclusive rights for these coastline areas is against the Greek Constitution mandates and a violation of European legislation.Mr. Prime Minister, we are sending you a series of photos showing the damage caused to the island landscape around Papa and Koumbara beaches and Diakofto peninsula in Ios and ask you to take all necessary measures to stop the environmental damage to these areas by investigating state employees who are responsible for the issuing of illegal building permits, and moreover, by taking legal action to ensure that all beaches in the Aegean Sea remain accessible for public use. The news that small beautiful beaches in the Aegean are no longer accessible to common tourist spread via internet around the world having a negative impact on the wonderful image of holidays in Greece.The Aegean beaches are small, autonomous areas created by years of pebble buildup from the island’s rivers. They are not sandy offshore beaches several kilometers long as in Florida or Messenia, and therefore their privatization has even more tragic consequences for the inhabitants of the islands. These beaches should remain the essence of Greek island tourism, the treasure of the local inhabitants. No government or municipal authority has the constitutional right to grant them exclusively to business speculators for private use as has been done in Ios.The unexpected sell out of Koumbara beach area and Diakofto peninsula in Ios for 154,415 Euro to the company 105 SA and the approved plans for construction of a concrete bridge for the investors’ private use on this sandy public beach is the first ever environmental catastrophe due to privatization of the coast line in the Greek islands. This must be stopped now. In the eyes of socialist parties and ecological movements in Europe, it is a disgrace that your government has allowed such detrimental practices.These environmentally catastrophic actions have triggered protests from environmental groups and active citizens all around Greece and the world. Many organizations have voiced their concern, including WWF, Ecogreen Party, Elliniki Etairia , Diktio Aigaiou (representing most environmental groups in the islands), The Ios Citizens’ Union that edits the Ios newspaper appealed to the highest administrative court against these actions. Almost a hundred articles have been published in the Greek press on this issue. Parliament members from three different parties have already submitted repeatedly written questions to the Greek parliament demanding explanations from the ministers involved and are still waiting for an official response .Greek and foreign citizens have issued written complaints to the municipal and state authorities. So far, even a year later, no answer has been forthcoming. Ignoring all protests and existing environmental laws, the wealthy investor continues even now developing massive concrete constructions destroying the Greek coastline and even planting Miami- like palm tree forests against the natural barren and rocky landscape of Ios protected by law as an area of exceptional natural beauty. All above documented facts reinforce the widely held belief that in Greece, money buys everything including the law. Paradoxically in a country like Greece overwhelmed by economic difficulties and desperately striving to attract foreign investments we found out that these abhorrent speculative capital ventures that cause such environmental damages are financed by public funds! The Ios΄ investor΄ that has acquired land over twelve Ios beaches under the name of seven SA anonymous companies which in fact belong to him , has managed to finance his companies with state subsidies amounting up to now to 24.822.277 Euro. It becomes clear that any so called investor can do business on the Greek islands using Greek and European tax payers’ money.Mr. Prime Minister, it is obvious that Greece is facing an attack from profit hungry speculators that take advantage of the economic crisis to exploit areas of great natural beauty with no respect for island infrastructure or cultural and environmental restrictions.Looking at numerous illegal buildings popping up on IOS island landscape it becomes obvious that public authorities in Greece today are not capable or willing to protect the environment of the Greek islands. All attempts of environmental planning proposals in a final state are deliberately delayed and put aside by municipality and state officials while at the same time proposed for protection areas are exploited by speculators ( see final plans -EMP study for Ios island - safely locked for five years now in Ios today’s Mayor΄s desk). Illegal buildings are legalized by a series of laws conveniently enacted to bring favor to politicians in power. (e.g., nine legalization laws extensions since 2011). Many Greek people argue that it has never before been so easy to bribe corrupt municipality and state employees in order to bypass existing building regulations as in today’s Greece.Mr. Prime Minister Alexis Tsipras,We, all friends of Greece , lovers of the Greek islands, European environmental and cultural organizations, intellectuals, artists, ecologists, architects who place beauty before money, tourists who year after year choose Greece for their holiday, workers in small hotels and tourist enterprises who today see in despair speculators given exclusive rights over their home and working territories, in short all active citizens that care for this country have decided not to tolerate any more government actions as the ones in Ios that will lead to exploitation and privatization of the Greek islands. A citizens’ battle is under way to protect the natural beauty of Greece from greedy speculators and to keep the Aegean beaches accessible to all citizens of the world, rich and poor. Mr. Prime Minister Tsipras, it is high time for you to choose a side in this battle and take a clear and responsible stand.We, on our side, will address all state governments in Europe , the European parliament and Council , all European environmental organizations and political parties and apply to the Supreme European court against illegal constructions and buildings in Greece financed in one way or the other with EU money. We will ensure Greek and European tax payers money will not end up anymore in the pockets of land speculators and corrupt state employees. We will fight by all means so that the coast line and beaches of Ios and of all the Greek islands remain free for all citizens of the world to use . (This letter to the Prime Minister is signed by European, Greek and foreign active citizens from all around the world).